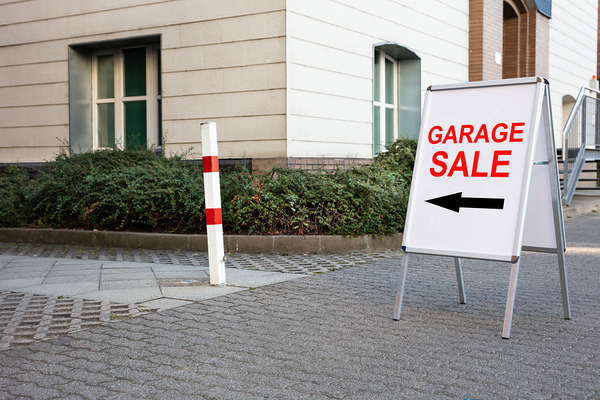 Here's a look at some tips that will help you host a terrific green garage sale. Some of your customers will probably want bags in which to carry their purchases. Consider stocking up on paper bags rather than plastic bags that aren’t as likely to be recyclable. If you’ve unpacked cardboard boxes that were stacked up in your garage in order to sell the items stored inside, you can also offer customers a box instead of a bag. This may be a better option for customers who want to pick out a selection of books or a variety of oddly shaped items. You can also try getting creative with your merchandise. Selling old luggage? Set it up next to your used books for sale and allow customers to fill a suitcase for a flat fee. Or position old purses and diaper bags next to a display of small children’s toys with a similar offer. Not only will you avoid plastic bags, but you’ll also be encouraging customers to buy more than they would have otherwise. Garage sale shoppers tend to come in waves. Often you’ll see the most serious shoppers show up early in the morning, to check out your wares before anyone else gets a chance. You’ll probably see another wave of shoppers around lunchtime when people have some free time to browse. Don’t be surprised to see early morning shoppers show up with coffee cups in hand, or afternoon shoppers browsing while they drink a soda or even munch on a sandwich. In fact, you may be able to add to your profits by offering coffee, hot chocolate, cold drinks, or snacks for sale. 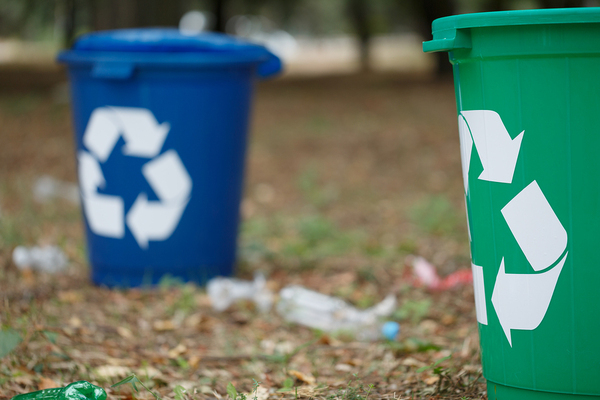 Whether or not you sell food and drink at your garage sale, at least some of your customers will certainly arrive with their own, so you want to be prepared with trash and recycling bins that are readily accessible. You don’t want to end up with trash on your lawn, and you certainly don’t want food wrappers or disposable cups blowing into your neighbor’s yards or the surrounding area. Make sure that your customers have an easy way of disposing of any trash. Even a successful garage sale may not be a total sellout. There are usually items that just don’t end up getting sold, for whatever reason. However, that doesn’t mean that your unsold items are destined to wind up in the city dump. Make plans in advance for the items you can’t sell. Do you have friends or relatives that might not have extra money to spend at a garage sale, but could really use a secondhand couch or set of dishes? Consider giving away items that you haven’t been able to sell; at least that way you’ll know that they’re being used. If you don’t know anyone who needs free stuff, you can advertise on community forums or Facebook groups to see if anyone wants those items. Specify that the person who wants the item will need to pick it up themselves, and you’ll get rid of it without having to pay for removal. A charitable organization may be willing to come to pick up items that you weren’t able to sell. Once your garage sale is finished, you’ll have a lot more room to store the things that you do want to keep in your garage. For some help with your garage reorganization project, contact us.